AdventureProof on wheels. 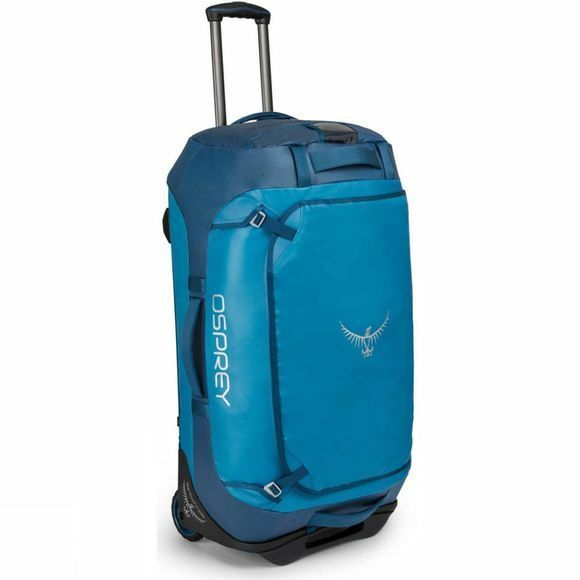 By taking everything that they have learned about duffel bags and combining it with their expertise in rolling luggage, Osprey has created a travel pack which is truly AdventureProof, and this time it’s wheeled. The Rolling Transporter 90 Travel Bag is an ultra-durable, high performance duffel with all-terrain wheels, designed to go where other packs can’t. 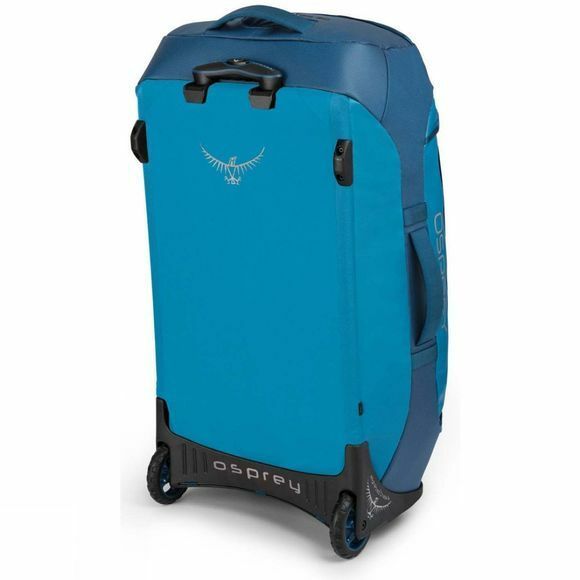 Featuring Osprey’s HighRoad chassis, this pack can cope with rough terrain due to its ABS polymer materials and extra-large polyurethane wheels which promise a smooth ride. The retractable ErgoGrip handle ensures that you can roll with complete ease and retain easy control over your gear.